Aaron: "James Dean and nice jeans. These are Naked and Famous." Luke: "Simple and a tiny bit sporty." 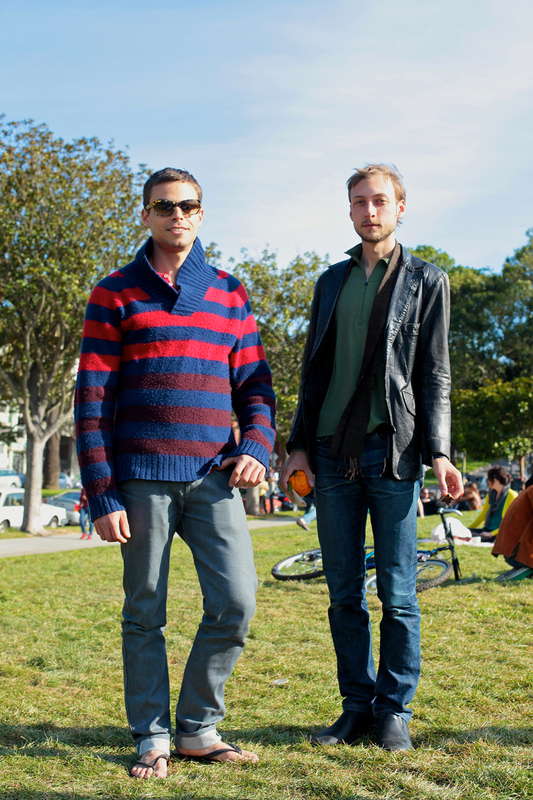 Casual yet subtly fashionable duds on men in Dolores. I'm always impressed when guys wear denim that fits well and isn't too tight or too baggy. American men don't often get fit right, but these guys do a good job of it. 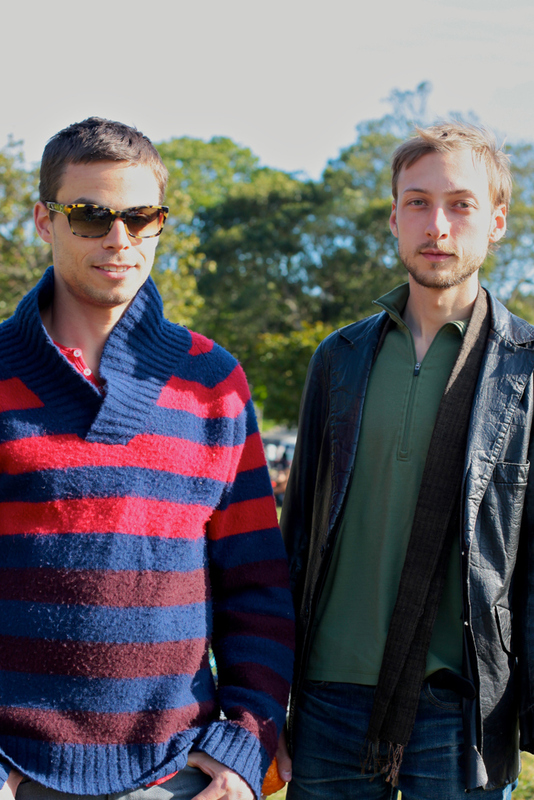 And though the sweater is a bit pill-y, I like the bright stripes and the shawl collar.